If you’re like the rest of us, you’re working hard on your appeal right now, and this might be the only paper appeal you’re sending this year. 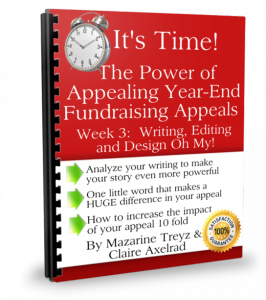 Are you worried because your appeal didn’t bring in much last year? Do you want to learn the tactics of successful appeal copywriting that will help people tear open your envelope and write you a big check? 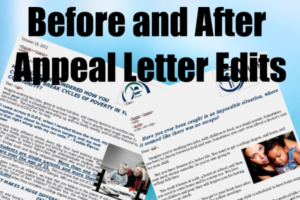 Whether you are an old pro and just want some new tips, or you’re writing your appeal letter for the first time, you’ll find killer strategies and tried-and-true tactics in this e-course to take your appeal letter to the next level. We’re going to cover it all. 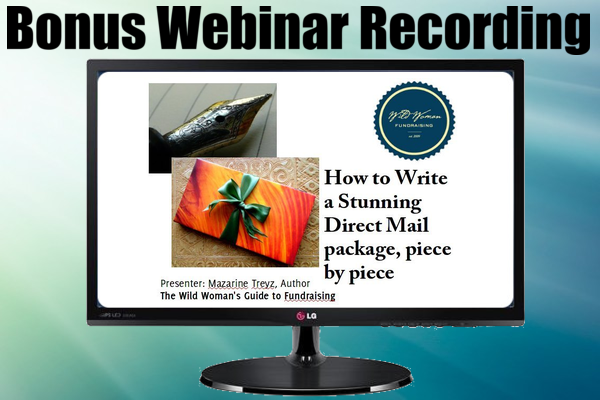 Have fun writing your letter and creating your package! Why should you take this course now? According to Blackbaud, most money is raised in the last quarter of the year. We know that around the holidays, people tend to give more, both online and offline. This means that your year-end appeal letter is a critical element of your fundraising success. Why do people give in the last quarter of the year? Maybe they want the tax write-off, or because of the holiday spirit, or maybe because you only mail out one appeal letter a year. Because people give more in December than any other time of year, you MUST ask now for your nonprofit. Making your year end appeal the best it can be is critical to your nonprofit’s success. What will you learn to help your year-end appeal be the best it can be? Week One: Getting Ready to Write: What’s in your toolkit? Where to start? With the PS! 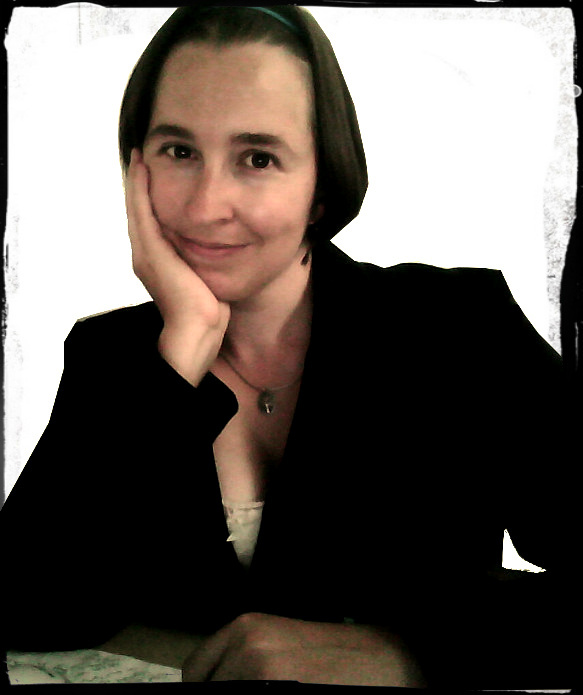 Week Three: Writing, Editing and Design Oh My! Envelopes that Scream Open Me! How Personal Can You Get? How Easy Can You Make it for Me? Click here to take advantage of this opportunity to make your appeal letters even better! 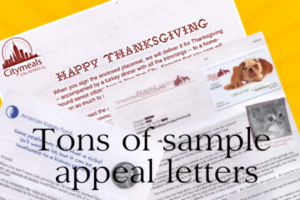 What have people said about Mazarine Treyz’s courses on Appeals? 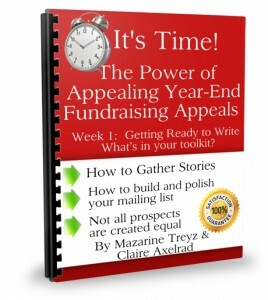 I thought it was very informative and received good tips for my year-end appeal letter. I thought Mazarine was terrific. 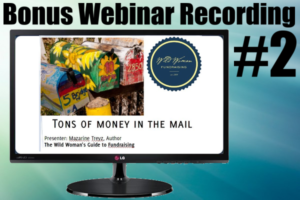 I look forward to attending another webinar . Click here before November 12th to get $20 off! 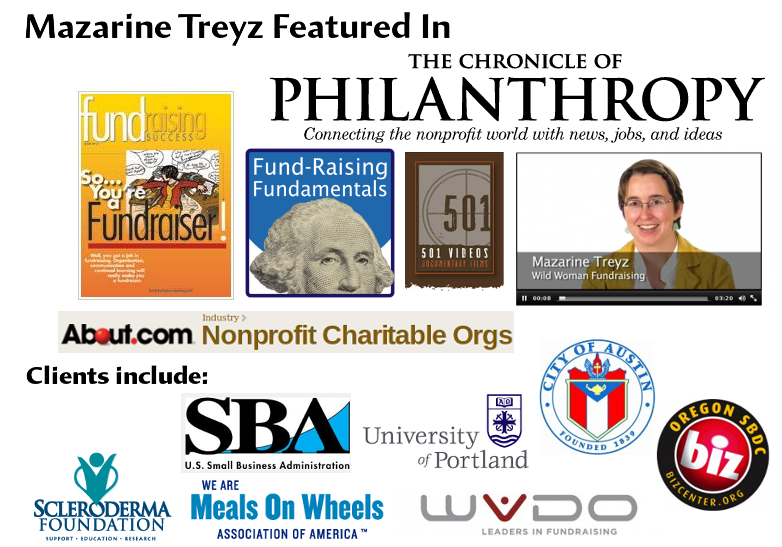 Mazarine Treyz has helped small nonprofits raise more with their appeal letters since 2007. She has written 5 star books on Fundraising. 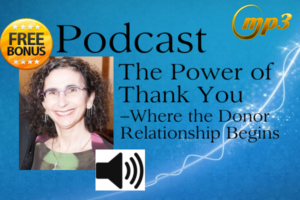 She has co-founded a nonprofit as well as being part of a one-person fundraising shop and helped raise fundraising results from a fall appeal to a winter appeal 100% simply by engaging and reactivating donors. She has raised thousands with appeal letters for domestic violence agencies, arts nonprofits, social justice nonprofits, education nonprofits, and more. Claire Axelrad, J.D., CFRE, of Clarification. Claire has helped large nonprofits raise more with their appeal letters for many years. 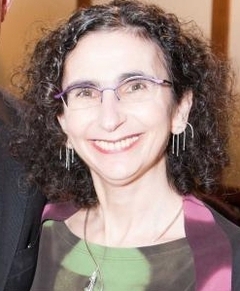 Named Outstanding Fundraising Professional of the Year by the Association of Fundraising Professionals, Claire teaches the CFRE course that certifies professional fundraisers. Her blog was recently named “Top Fundraising Blog” by Fundraising Success and she is a regular contributor to Fundraising Success Magazine. An e-course is written material, sent to you every week, in a printable format. It will also include two recorded webinars and a recorded podcast. We created this format so that you can go at your own pace, and fit the e-course into your busy schedule. Want to see a sample of the e-course? Click here. One person asked, is it a live webinar that I’ll need to login to attend? It is not a live webinar. Because of everyone’s busy schedules, we are making this e-course of written material, plus two recorded webinars, and a podcast recording, so that you can learn this information exactly when it is convenient for you. The course will take roughly 2 hours a week. There’s also two recorded webinars that may take a little more time. 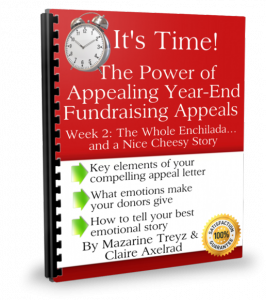 Do you want to supercharge your appeal to raise more money? 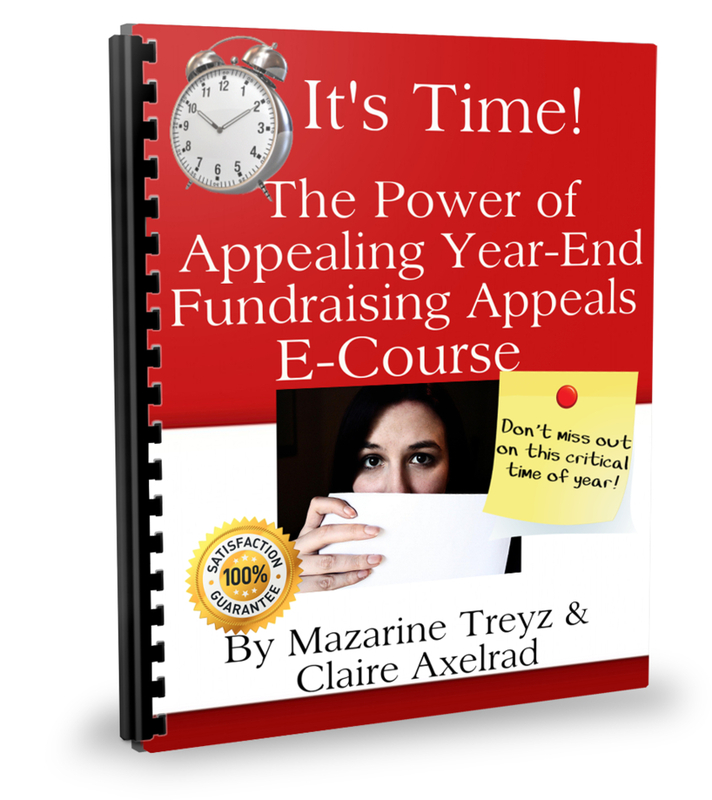 This appeal e-course is on sale until November 12th for just $77! After November 12th the price rises $20 to $97. Registration closes on November 17th. Are you ready? Are you psyched? The discount ends on November 12th, so you’ve got to act fast. Click here to get $20 off now! Got questions? Just email me at info@wildwomanfundraising.com. I can’t wait to hear from you!